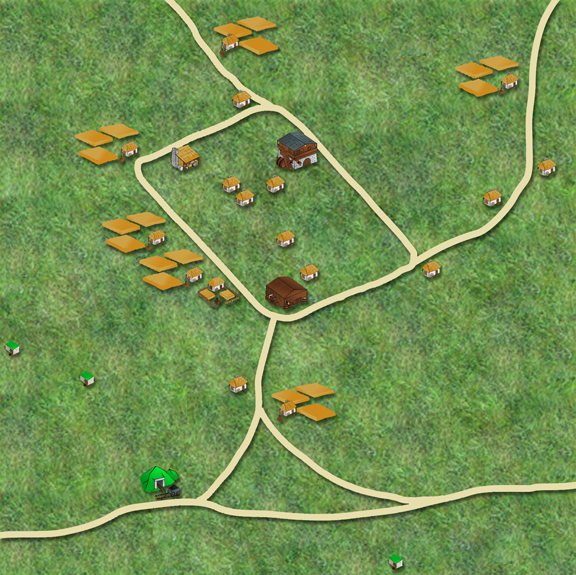 This week's Free GM Resource is an online Village Map Generator from our old friend over at Inkwell Ideas. 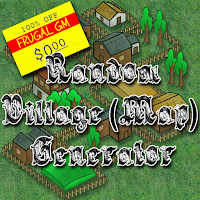 This generator is on a bit of a back page that has probably been forgotten about for some time, bu I think it could be rather useful for some GMs. 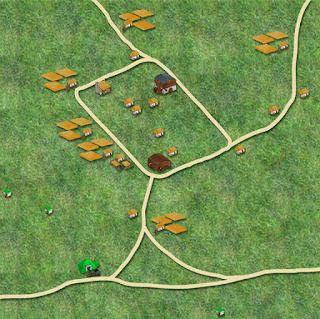 There are something like 9 options you can force onto the generator, or just hit some random seed. 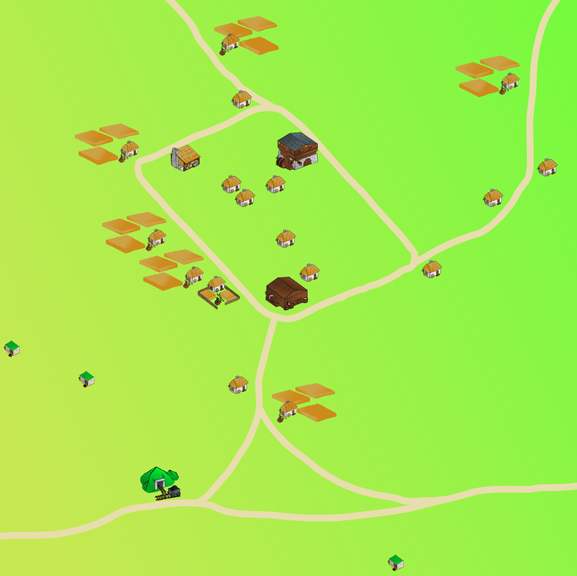 The only problem I've run into using this Village Map Generator is trying to save the resulting generation. There are some brief instructions on the page, but that was a bit cumbersome and just didn't work for me. I ended up just taking a couple of screen shots and stitch them together in Photoshop. While I was there I screwed around a bit to get rid of the gradient in the background.